Password(Again) – type the same password again. Mailbox Quota – you can set a storage quota for your email box or check “Unlimited“. Optional selection of “Send welcome email with mail client configuration instructions“. After filling everything in, press “Create Account” button. Your email box will be created. 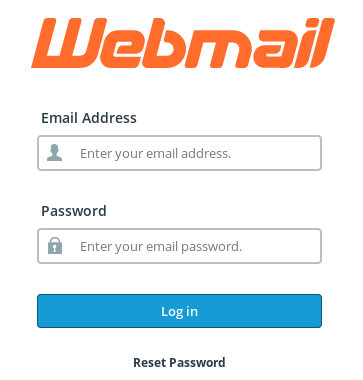 You can access your webmail via cPanel. Go to “Email” section and press on “Email Accounts“. Then find the section “Default Email Account” and press on the link “Access Webmail“. You will be forwarded to next page, where you should press on your hostname (for example, https://server.name:2096) or press on “Go to Secure Webmail Login“. Here you should enter your email account name and password. 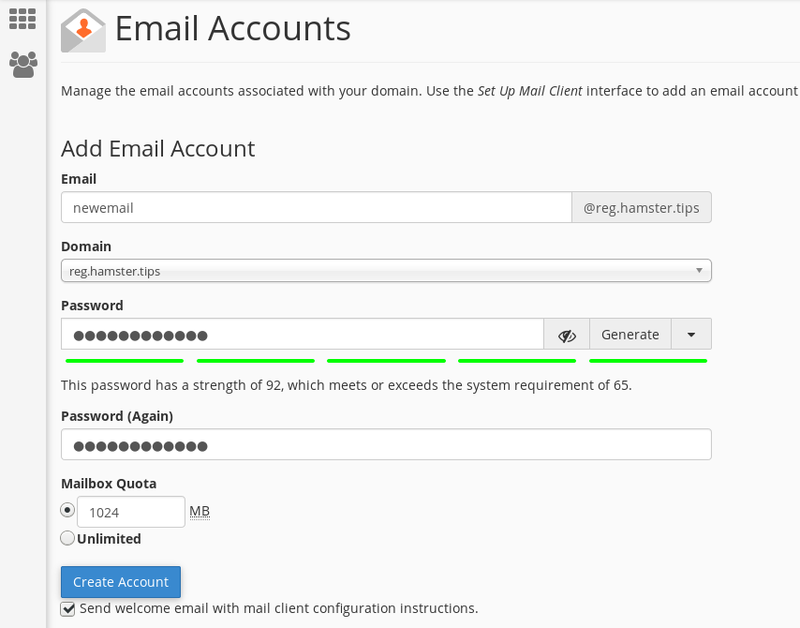 If you do not want to use webmail, you can configure your email as an email client. Configuration tutorials can be found in our knowledgebase here.